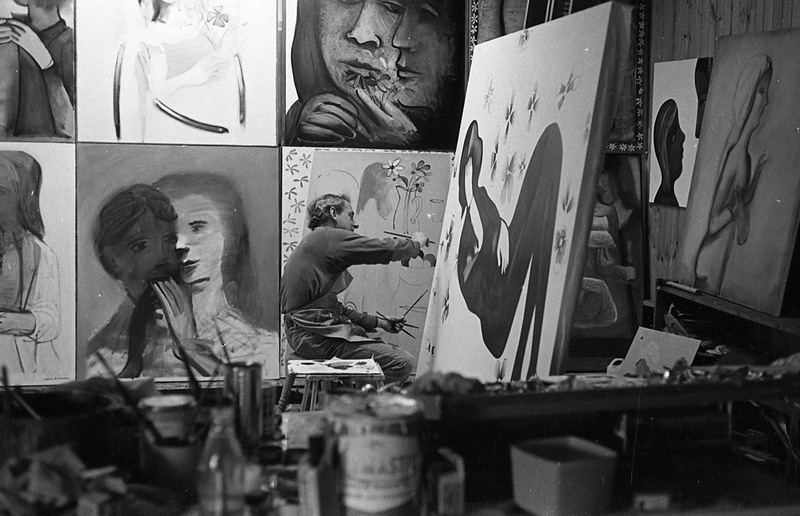 Charles Blackman is one of the most celebrated Australian figurative artists of the 20th century. An excellent draughtsman as well as a painter, he created imagery – often in series – based on personal, literary and musical themes. He came to prominence after the Second World War as one of the so-called ‘Heide circle’ of artists and was also a founding member of The Antipodeans art movement. Born in Sydney, Blackman grew up in Queensland before leaving school aged 13 and returning to Sydney to work as an illustrator for the Sydney Sun newspaper. Predominantly self-taught, he attended night classes at East Sydney Technical College, now the National Art School, from 1943 to 1946. 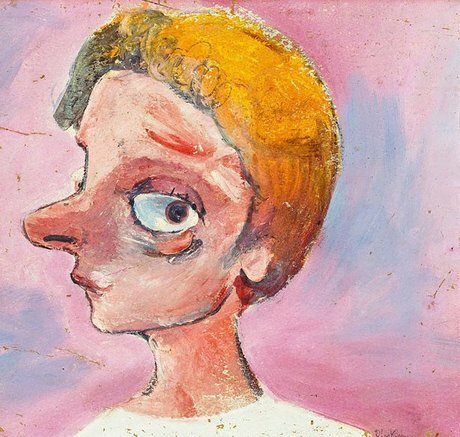 In 1951 Blackman moved to Melbourne and became one of the group of artists, which included Sidney Nolan, Albert Tucker and Joy Hester, centred at Heide, the home of art patrons John and Sunday Reed, in the city’s outer suburbs. It was during his first year in Melbourne that he discovered the bayside suburb of St Kilda, where he would travel by tram to swim, draw and visit Luna Park. The drawings, including Luna Park with Griffin light , led to a series of paintings on the same theme. Blackman’s first major series, ‘Schoolgirls’, created between 1952 and 1955, has long captured the public imagination. In it, he painted the schoolgirl figure, often depicted in eerily empty streetscapes, as a symbolic embodiment of urban loneliness and alienation. The painting Girl dreaming and the drawing Schoolgirls with a dog – both in the Art Gallery of NSW collection – form part of this quintessential series. Further acclaim followed with his ‘Alice’ series, based on Lewis Carroll’s book Alice in Wonderland , introduced to him by his then wife Barbara Blackman, who served as the model for Alice in these works. Produced from 1956 to 1957, the series includes more than 40 paintings of vivid and surreal imagination. 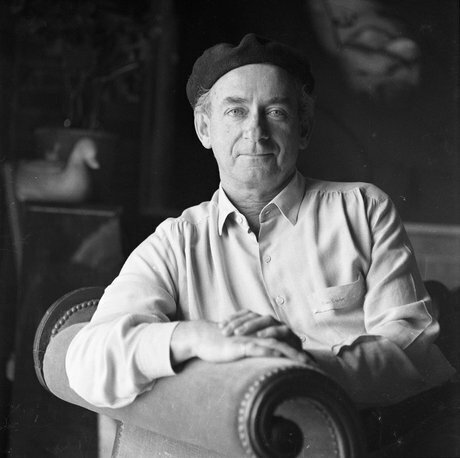 In 1959, Blackman was one of seven figurative artists, including Arthur Boyd, David Boyd, John Brack, Robert Dickerson, John Perceval and Clifton Pugh, who signed the ‘Antipodean manifesto’, drafted by Bernard Smith, which outlined their objections to abstract art, which they felt was becoming too prominent in Australia. In 1960, Blackman received the Helena Rubenstein Travelling Scholarship and moved to London for six years, where he exhibited at the Whitechapel Gallery and the Tate Gallery. In 1970 he was awarded a Cité des Artes scholarship and spent a year in Paris, a city he found inspiring and would return to often in later years. The Art Gallery of NSW holds over 50 works by Blackman in the collection, including paintings and a large number of works of paper. Angry young girl was the first work by the artist purchased by the Gallery, in 1958. Blackman’s work is held in all major public collections in Australia and internationally including the Metropolitan Museum of Art in New York and the Tate. Blackman was appointed an Officer of the British Empire in 1977 for services to Australian art. He died in August 2018, a week after his 90th birthday.